Recycle Your Kitchen Scraps & Get Free Fertiliser in Return! After the over-indulgence that often happens over Christmas, it’s good to move into the new year with thoughts of recycling and cutting down on our waste production. We recommend the purchase of two Bokashi buckets, so that when one is full and ‘composting’, you have a spare to start filling – there is a considerable saving if you purchase two buckets at the same time. For all your recycling needs visit www.recycleworks.co.uk. After cooking, use residual oven heat to bake discarded orange or lemon peels until they darken in colour. These baked rinds are full of citrus oils and can be used as fragrant, festive firelighters – with none of the nasty chemicals used in commercial products. Here at Gardening With Children we would like to wish you all a Merry Christmas and a wonderful New Year in 2010. Thanks to all the thousands of people who have visited and supported Gardening With Children since our launch one year ago. We hope you have enjoyed all of our seasonal gardening hints and tips, activity ideas and recipes. Together we can all do our bit for the Earth and its the little things we do each day that make all the difference. How to Make the Worlds Best Mince Pies! Mince pies are one of the true tastes of Christmas, but if you only ever eat mass-produced ones, they are generally bland and pretty disappointing. This recipe is my very favorite…and I have tried a few. ..And the secret is all in the pastry. Handed down to me by a dear farming lady, who is famous locally for her fantastic home cooked fayre, follow a few easy steps to get fabulous results. This recipe makes between 28 and 36 (depending on how thick you like your pastry). But if you have too much pastry for one baking session, you can put any left over into a bag and freeze for later use. …But be warned these mince pies are so delicious you will never have enough. I made 30 yesterday and have only 5 left – I should however point out that I didn’t actually eat them all myself, but did give a fair few away to friend and neighbours! Store in an air tight container for later or alternatively, if you are like me, eat NOW! Remember for any food thats left over during the Christmas period use the brilliant Bokashi Bucket. It will take all the kitchen waste – yes all of it. Meat, fish, bones and vegetable peelings and in just two weeks the waste will be suitable for digging into the garden or compost heap. Plus a nutrient rich liquour is produced that can be diluted down into a plant food suitable for both indoor and outdoor plants. We have a lovely new product in stock that will be fab for next summer and will make a nice christmas stocking filler in the mean time. Polanters are clever vertical gardens that can be extended to fit any space. …And if you ever grow plants on walls you will know how quickly they dry out and how tricky they can be to water. But the Polanter Vertical Growing System has an integral watering system that spreads the water evenly through, giving the plants ideal growing conditions. They can be planted with strawberries, flowers or herbs, with columns of thyme, mints or parsley. In fact there are dozens of ways to make them sing. Plus they smell great, attract bees and butterflies, and for small gardens they take up next to no space! There are some fabulous colours which we will introduce in spring, but we are stocking Green, Terracotta, White and Lavender at the moment. …And at only £22 they would make great stocking fillers for Christmas! Save the Earth & Win A Prize in our Competition! Friends of the Earth have a tip each day for doing something to save the environment and one tip recently recommended avoiding car pollution, traffic and fuel bills by walking to school in little crocodile convoys. 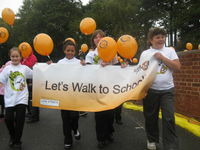 More information is available at www.walktoschool.org.uk. Anyway this got us thinking that with the year coming to a close in a few weeks time, our last competition before Christmas should perhaps focus on thoughts of a better environment for 2010. So with our “Love Your Environment” theme in mind we would like your top idea for a New Years Resolution that is good for the environment. Be as creative as you like and our favorite ideas will go onto the Blog in the New Year. The very best one of the bunch will also win a beautifully crafted solid wood and stainless steel Children’s Hand Trowel plus 10 packets of herb, vegetable and flower seeds to plant in the New Year. 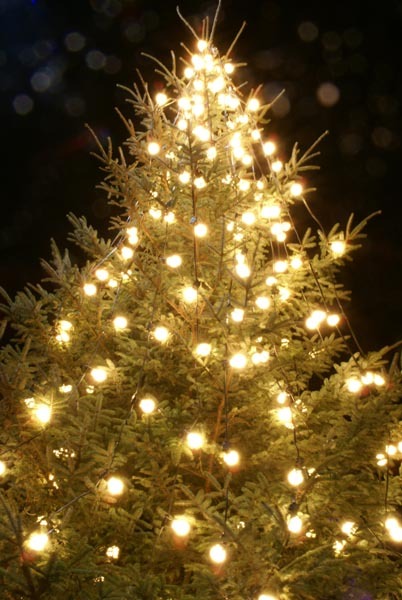 Email your entries to charlotte@gardeningwithchildren.co.uk by no later than 31st December 2009. When my children were small, each week we would go to a play group where the first activity of the morning was to make bread. It was a wonderfully calm, focused and absorbing activity for the children and adults alike, and one of my fondest memories of their early years. 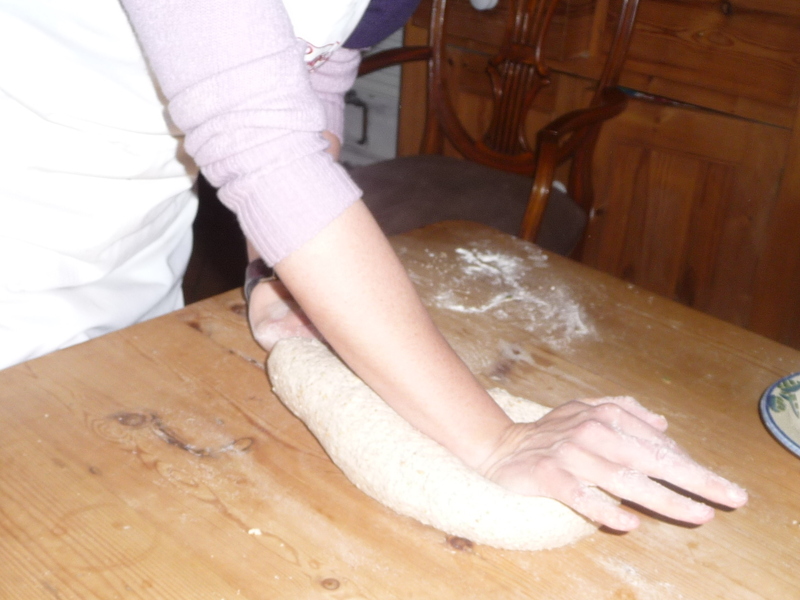 The children would make their own little bread roll which would rise and be baked during the course of the morning. And when it was time to go home, each child would be given their own bread to take. 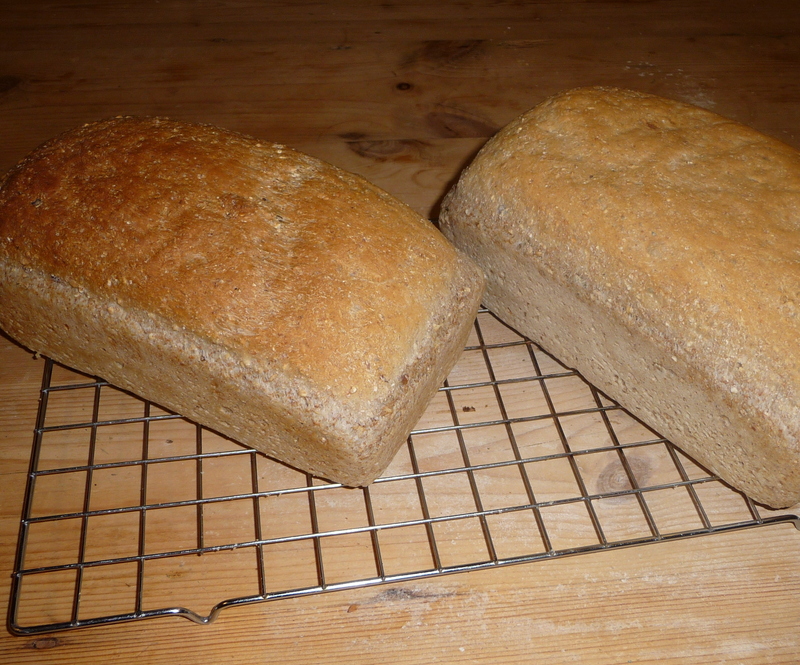 ….And there is something wonderful about home made bread, it has taste, real texture and is a meal all on its own. So for picnics at the allotment, make your own bread and pick rocket, salad leaves, radishes and tomatoes for a home grown filling! For all your gardening needs from raised beds, to compost bins, cold frames to wildlife goodies visit www.recycleworks.co.uk. We also sell a wide range of gardening products specially designed for children, including tools, gloves, allotment plots, wormeries and compost bins. 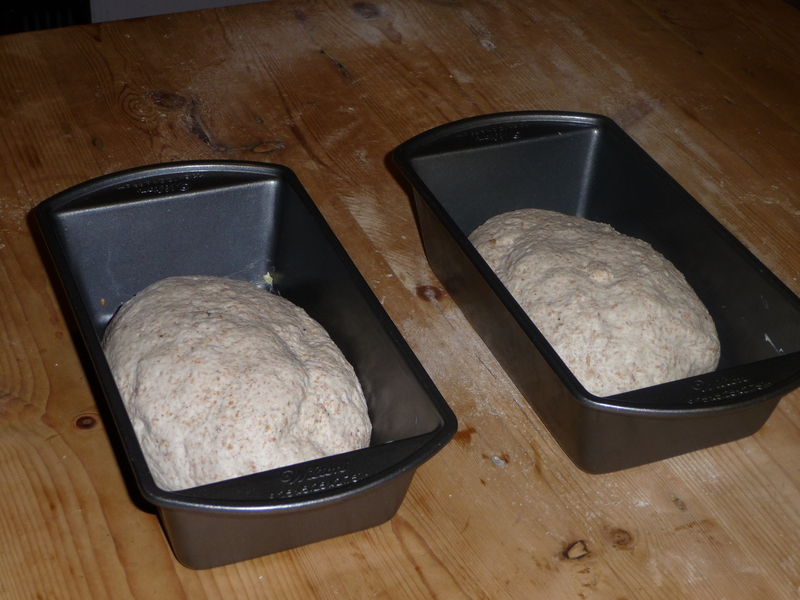 …Back to the business of making bread, with the possible exception of bread machine converts, we are not really a generation of bread makers and the whole process can seem a bit daunting. But by following a few easy steps the results can be amazing. 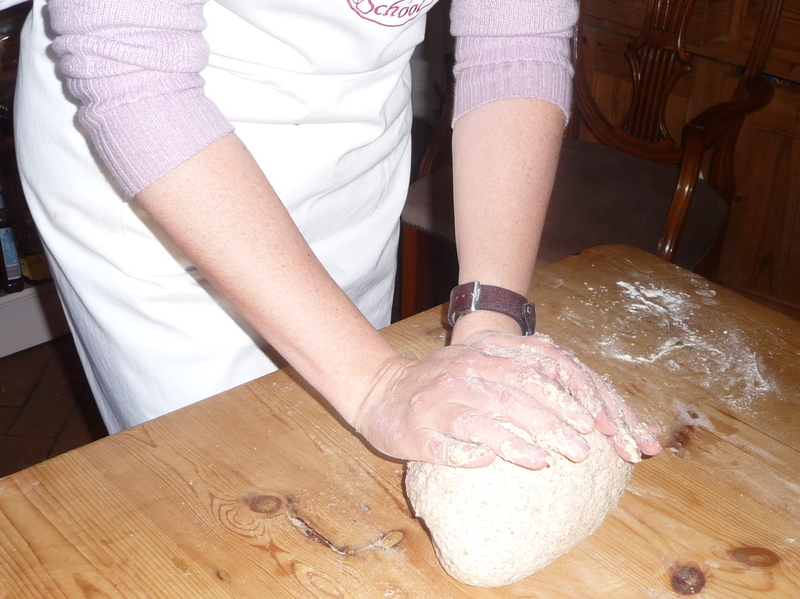 When bread making with the under 10’s we recommend preparing the dough in advance, up to step 10, and dividing the mixture into balls to make rolls. Each child can then finish their own fairly easily. 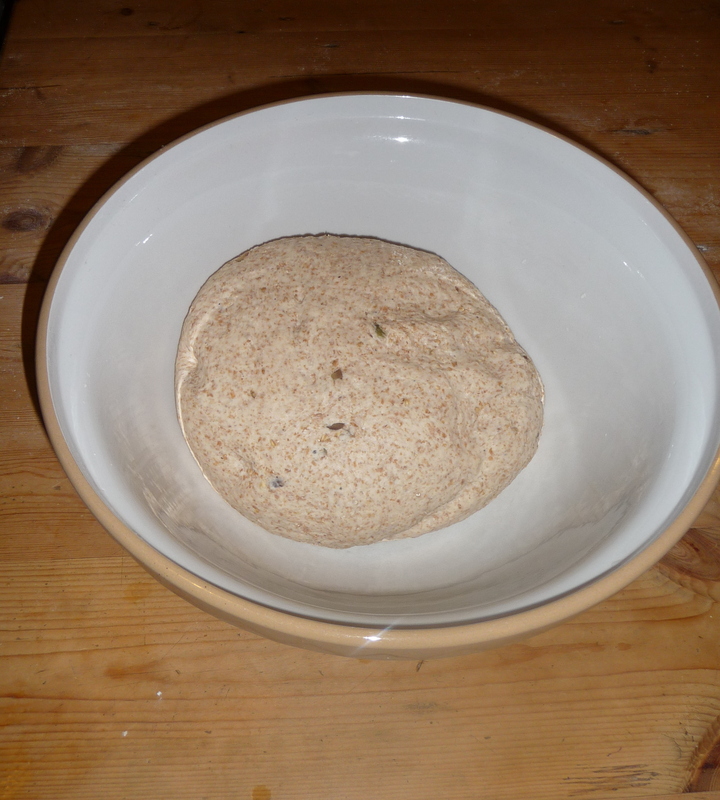 Add 2 cups of either wheat bran, ground oat meal, wholemeal flour or granary flour. These give the bread a little more texture.